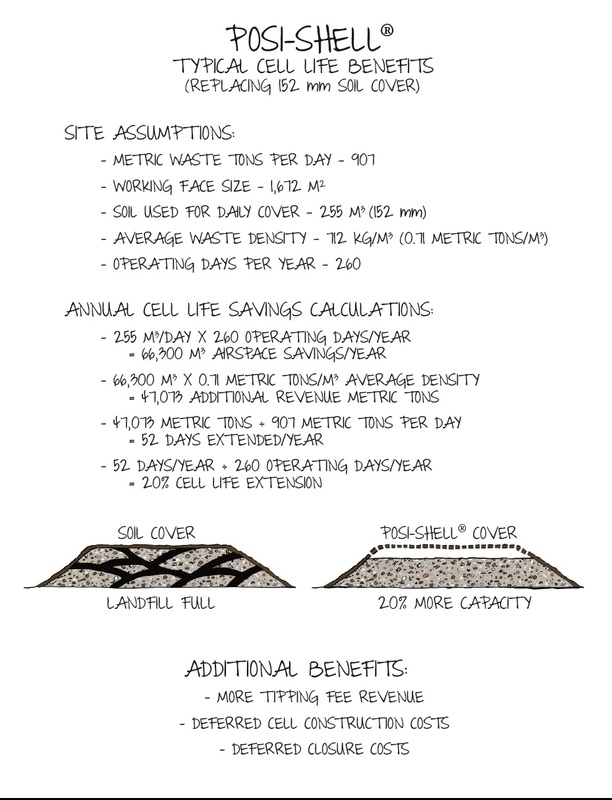 The most effective, versatile, and cost-efficient cover system for landfills. Posi-Shell® is a patented blend of clay binders, reinforcing fibers, and polymers that, when mixed with water or leachate, produces a spray-applied mortar that dries in the form of a thin durable stucco. Regardless of the weather, Posi-Shell® adheres to any surface and is effective in wet and dry forms. Posi-Shell®'s unique properties enable the use of durability enhancers to achieve long-term coatings that remain erosion resilient for more than a year. 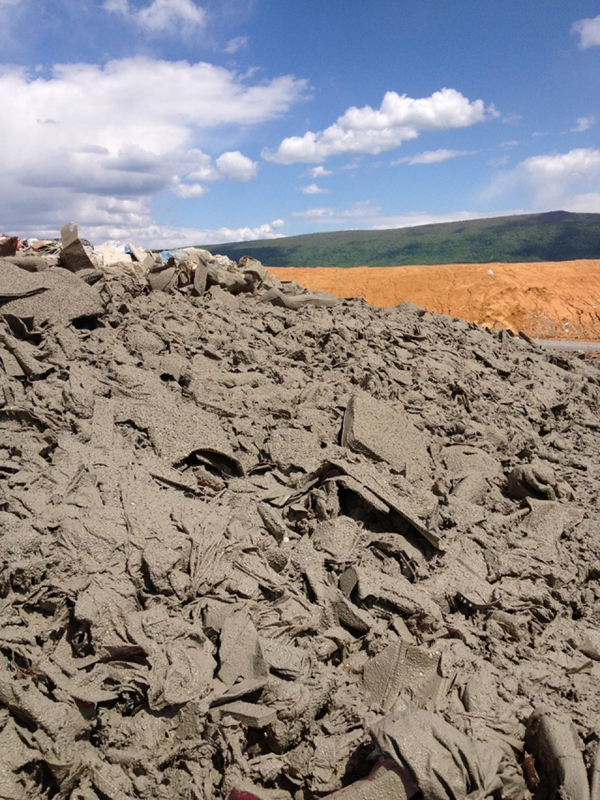 Posi-Shell® is packaged in 50 lb (22.7 kg) bags or 500 lb (226.8 kg) bulk sacks and mixing is accomplished using LSC Equipment or standard hydroseeding units. Below you can download resources and legal documentation on Posi-Shell® and related products. Use the form below to ask us a question about our waste cover solutions and our team will contact you within two business days. Fill in your information to contact us about the possibility of a product demonstration to see how our waste cover solutions can save your facility time, capital and labor. Posi-Shell® is the most effective, versatile, and cost-efficient alternative daily cover (ADC) system on the market. Nothing, including soil, can match Posi-Shell®'s ability to exceed daily cover requirements for litter, vectors, scavenging, fire, and especially odors. The Posi-Shell® cover system also prevents leachate breakouts and dramatically improves landfill gas extraction by eliminating barriers left behind by soils or other ADC's. With over 20 years of success at both large and small landfills around the world, Posi-Shell® has the demonstrated ability to deliver game-changing savings in airspace and operations cost. Posi-Shell®'s unique physical properties enable the use of durability enhancers to achieve long-term coatings that are quick to apply, aesthetically pleasing, and highly resistant to erosion. While foundationally similar to daily cover, our intermediate cover is harder and typically thicker than our short-term Posi-Shell® coatings while still offering significant savings in airspace and operations cost when compared to standard 12" soil applications. Whether the need is for swale lining, slope protection, silt minimization, or final seeding, LSC has the right product to achieve long-term coatings that are quick to apply, aesthetically pleasing, and uniquely customizable to meet specific durability requirements. 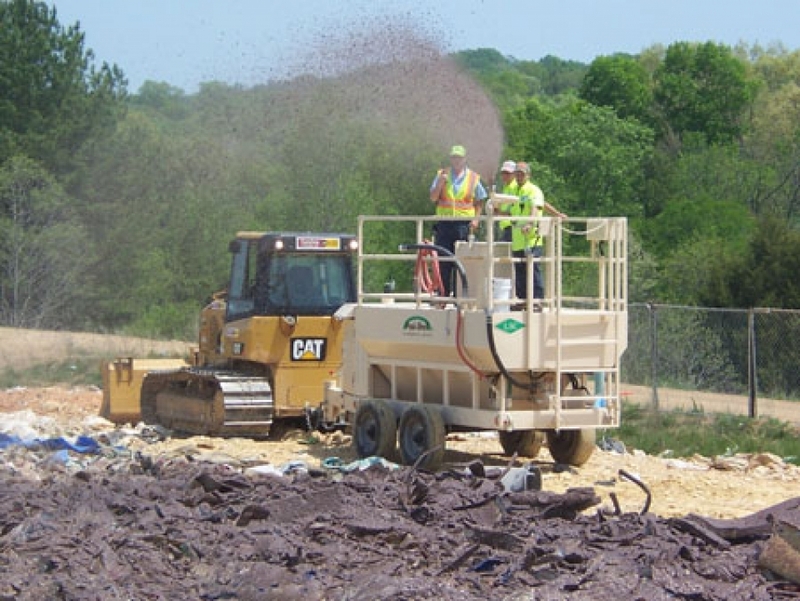 The video below shows a leachate reduction rain cap on a large Mid-Atlantic landfill. The runoff shown is from a 0.5 inch (12.6 mm) rain event channeling from 9 acres (3.6 hectares) of cover. Please review our Erosion Control or Vegetation pages to determine the right product for your needs. Posi-Shell®'s mineral foundation offers a natural filter uniquely effective at controlling landfill odors. No cover system, including soil or other ADC's, comes close to the odor suppression performance of Posi-Shell®. 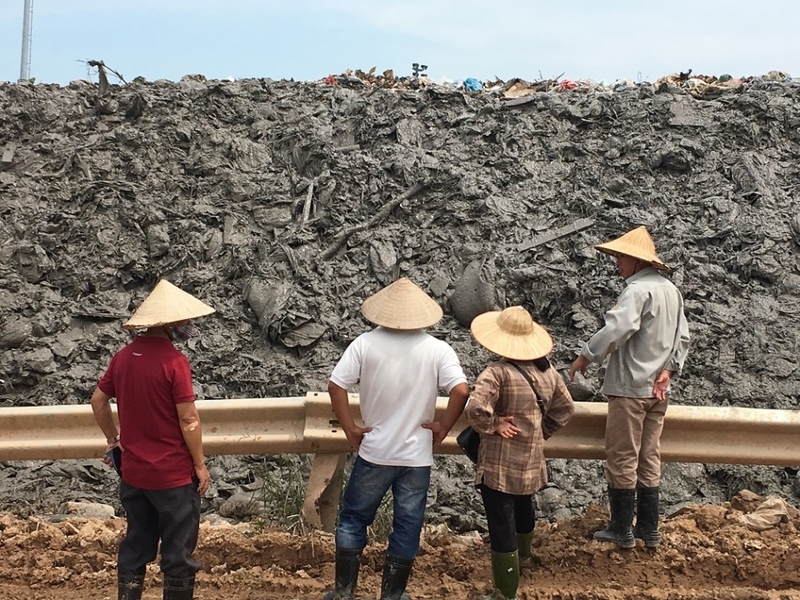 Landfill managers around the world rely on Posi-Shell® to keep the peace with neighbors and regulators. 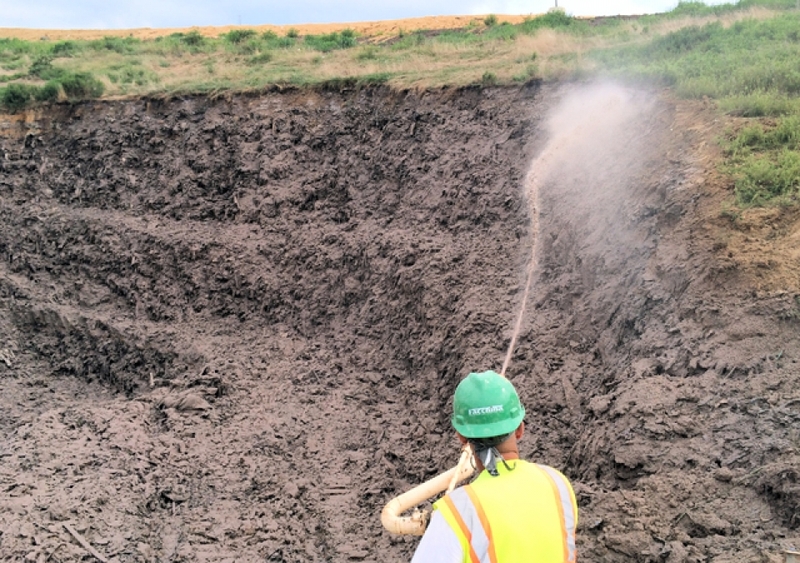 For challenging odors generated by sewage sludge, landfill excavations, or composting operations, our innovative Odor-Shell® product can be used independently or in conjunction with Posi-Shell®. Unlike systems that attempt to address airborne odors, Odor-Shell® is topically applied using three synergistic mechanisms of sealing, filtering, and neutralizing to kill odors before they become a problem. 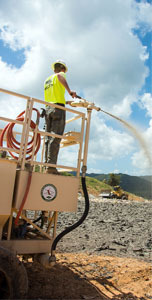 The Posi-Shell® system gives landfill operators the flexibility to solve a wide range of operational emergencies. 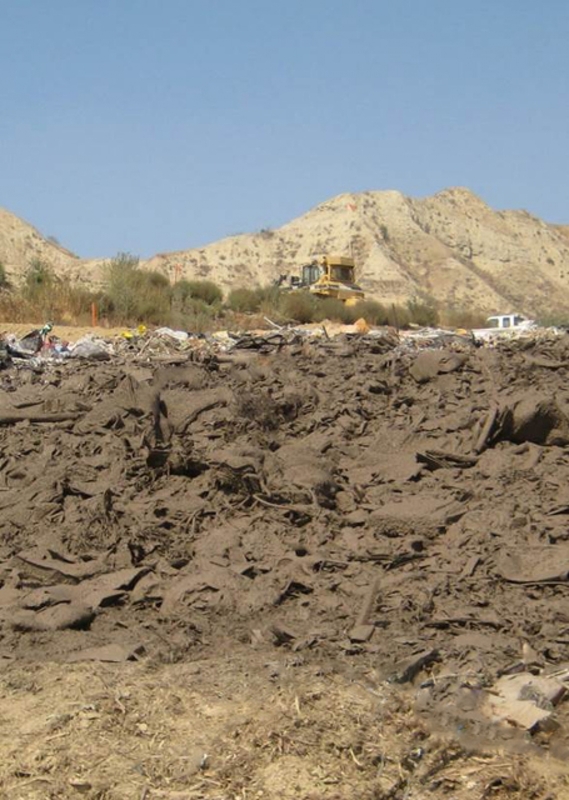 Over the past twenty years, Posi-Shell® has been used successfully to address liner breaches, offensive odors, forensic searches, hydrogen sulfide releases, landslides, landfill excavations, fires, and countless other emergencies. 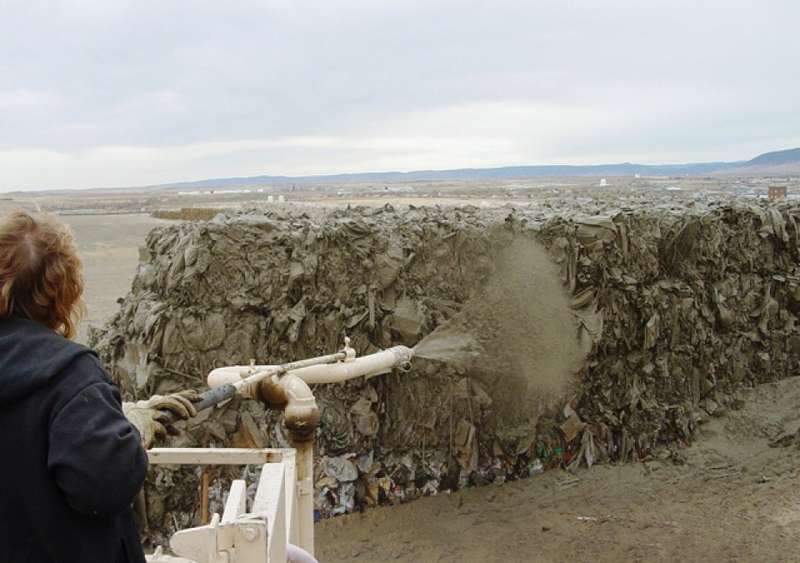 In several high-profile situations, landfill managers and regulators have cited Posi-Shell® as critical to quickly solving problems and avoiding fines or temporary closure. 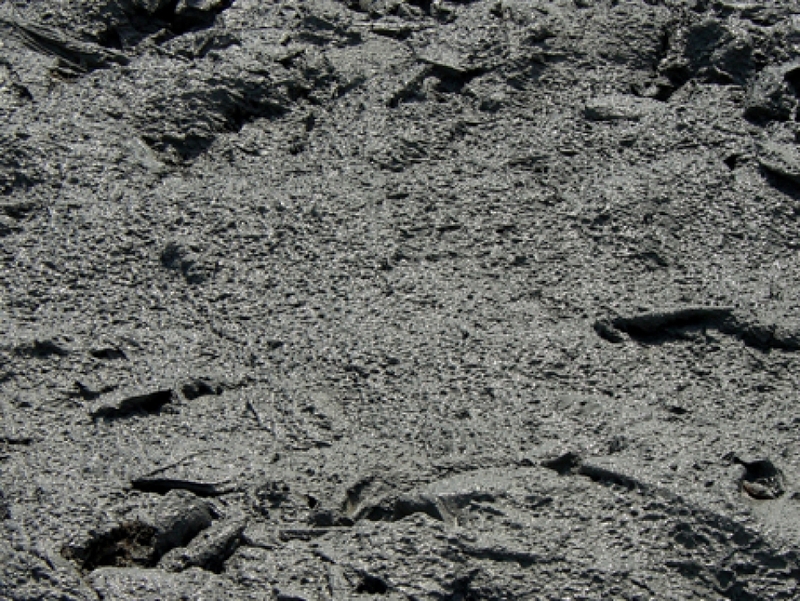 LSC has two distinct products that address the unique challenges common to coal ash. 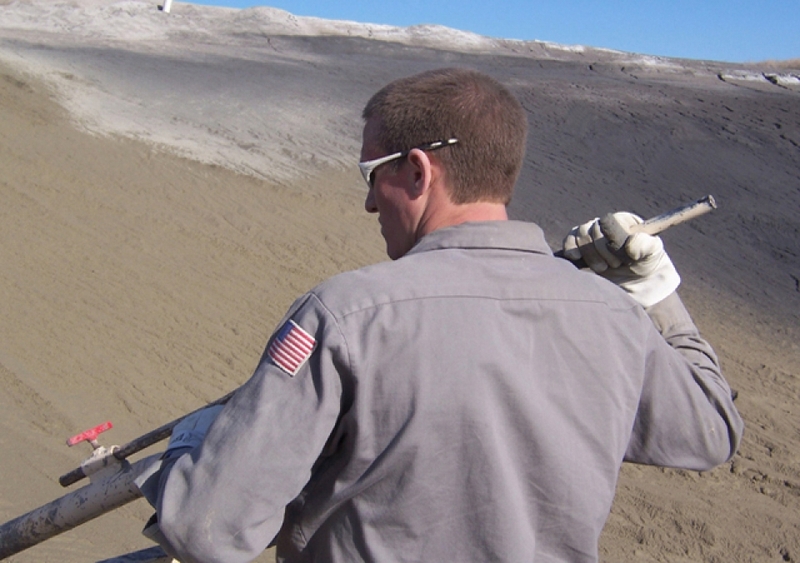 For sites interested in long-term solutions for dust, leaching, and erosion, Posi-Shell® Environmental Coatings deliver a nearly impenetrable cover that lasts for years. 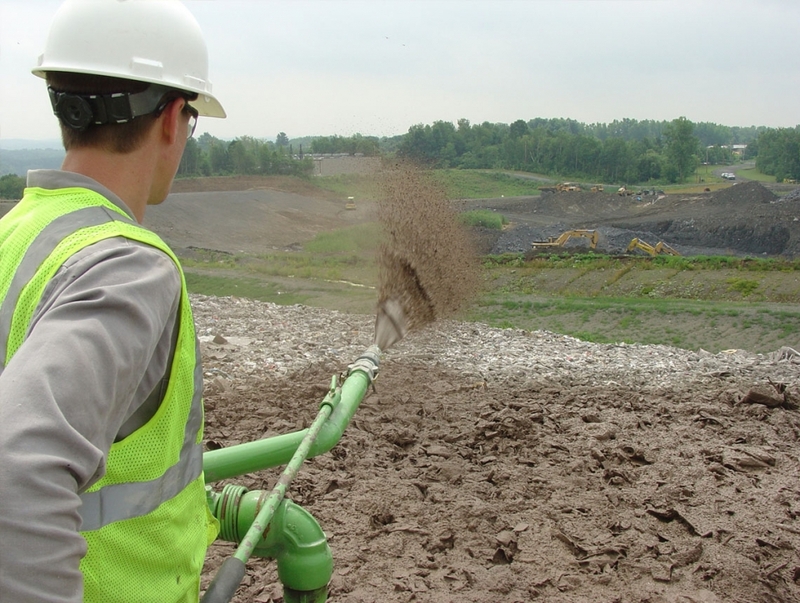 For sites only interested in dust control, our naturally-based product, Posi-Clear®, reduces fugitive dust by bonding surface fines into a durable, cohesive layer. Posi-Clear® is not a chloride which makes it environmentally friendly. 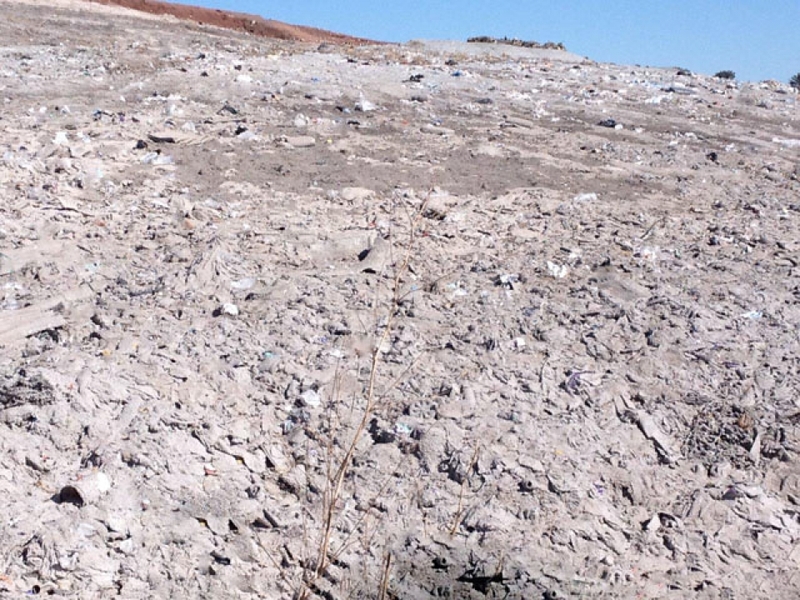 The high solids content of our Posi-Shell® coating is perfect for extinguishing "hot loads" or dealing with challenging internal landfill fires. Posi-Shell®'s natural mineral foundation is intrinsically non-flammable and WILL NOT ignite even under direct and sustained exposure to a torch. 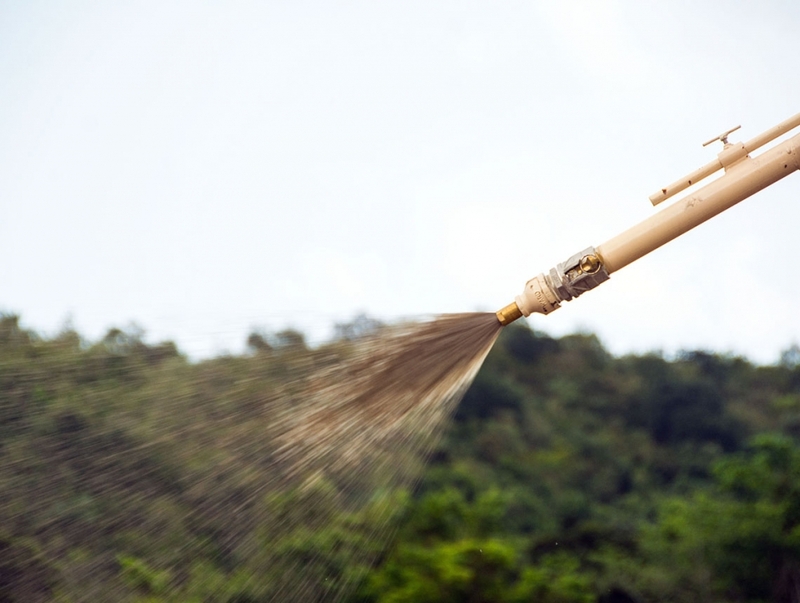 Additionally, our PSA series of applicators is specifically designed for landfill topography and provides operational access that water trucks or fire departments simply cannot match. Posi-Shell® can be precisely applied from a distance, making it uniquely effective in controlling windblown litter and flagging at landfills of any size. On windy days, nothing beats our mobile ECA unit as part of a daily housekeeping process. Positioning any of our applicators at the working face allows operators to blast waste to the ground as it is blown from dumping vehicles. 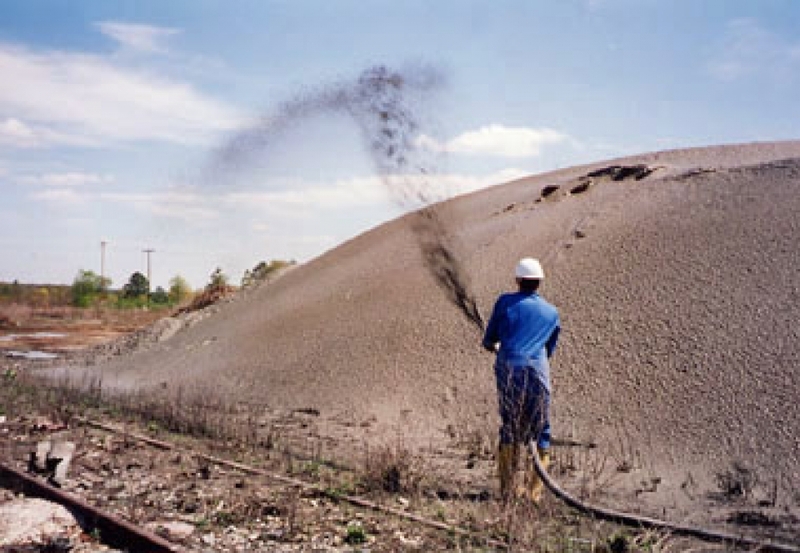 Posi-Shell® is also used effectively to eliminate windblown litter in rail haul waste operations. Posi-Shell® and Odor-Shell® have been used to address odors and windblown litter in long-haul waste operations. Whether dealing with trucks, trains, or barges, these products eliminate the need for applying and removing cumbersome tarps or netting while also providing the invaluable benefit of locking in odors. Our Custom Fabrication Shop will design the perfect application configuration to optimize product performance and loading speeds at your facility. Many of our customers have received Beneficial Use Determinations (BUD's) to incorporate waste latex paint into our Posi-Shell® cover system. This BUD dramatically reduces handling issues associated with waste latex and often generates additional revenue for the site. Similarly, many of our customers have received approval to use landfill leachate, in lieu of water, to mix Posi-Shell®. 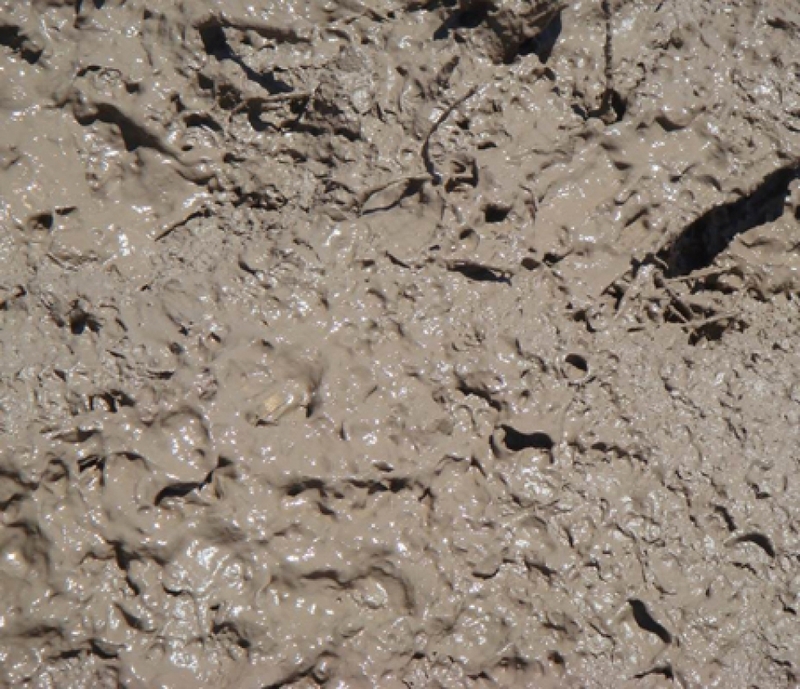 This formulation reduces the site's leachate expenses by thousands of gallons per day. Additionally, sites approved for direct leachate recirculation can leverage LSC's Applicators as efficient dispensing units for this operation. Our product formulations can be applied during light to moderate rain without any problem. However, if heavy rain (and we mean really heavy) is expected during application or before drying, Xtreme Rain Shield may be added to protect the application under these conditions. Click here to see how Posi-Shell® performed during a Signal 8 typhoon in Hong Kong. One of the most common questions we field is "Does Posi-Shell® work as daily cover in cold weather?" The answer is "Yes." Posi-Shell® was developed in the Northeastern United States and is currently used in dozens of tough venues such as New York, Wisconsin, Minnesota, and even Alaska and Canada where performance in the cold is absolutely essential. Wind is not an issue when applying any of our products. 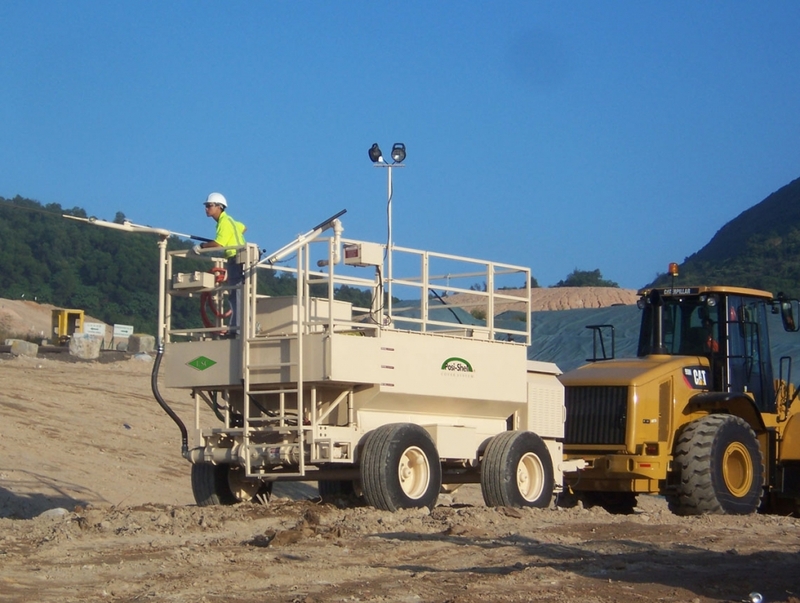 LSC Applicators are designed to travel throughout a landfill and can be easily positioned to take advantage of any wind condition. Indeed, many landfills use the Posi-Shell® cover system to keep waste at bay on windy days by positioning applicators near the working face and blasting litter to the ground as it is blown from dumping vehicles. Using Posi-Shell® instead of natural soil for daily cover is your ticket to achieving maximum airspace utilization. Posi-Shell® is the one system that gives you easy access to every cubic yard of airspace formerly consumed by thick soil covers. In addition to the huge airspace savings generated by replacing bulky soil covers, Posi-Shell® also delivers significant daily savings in labor, equipment maintenance, and fuel when compared to typical soil operations. While Posi-Shell® can be completed with one operator alternating between a towing unit and an LSC Applicator, most soil operations require personnel manning expensive loading, hauling, and spreading equipment for many more hours. Posi-Shell® is affordable in your existing landfill budget as it allows you to reduce equipment usage and manpower hours. 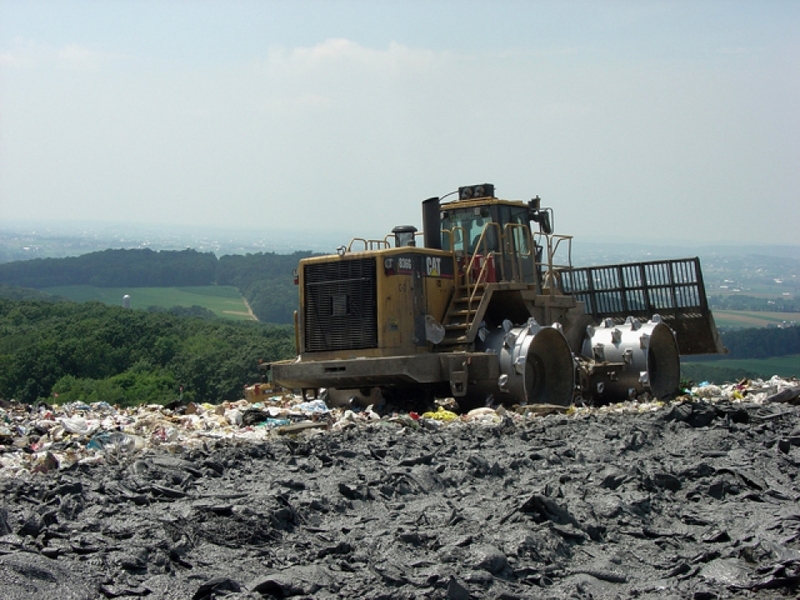 Along with these benefits you can also address other landfill challenges with this one system.